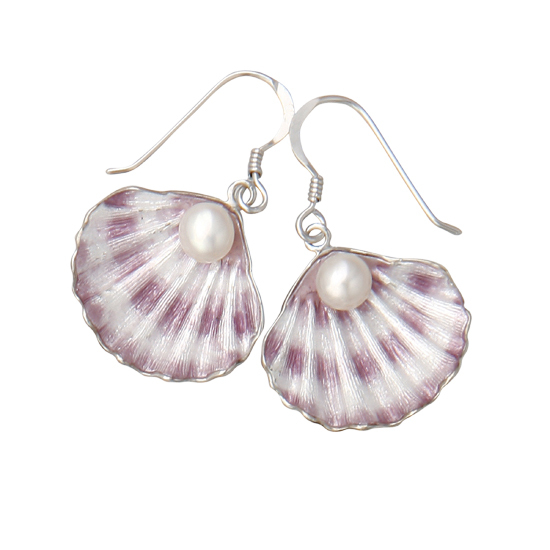 Vitreous Enamel on Sterling Silver Shell Wire Earrings - Purple. 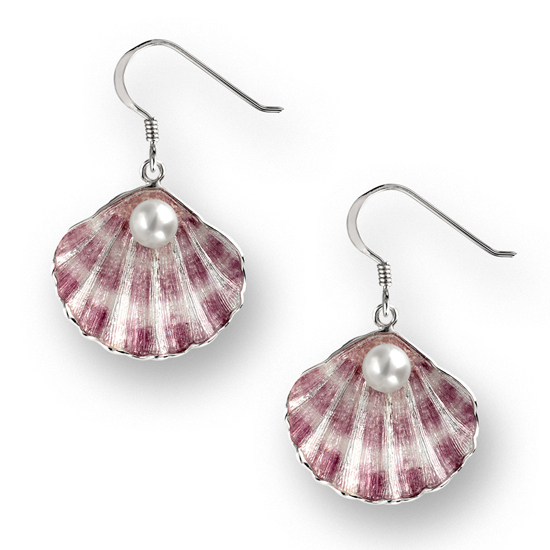 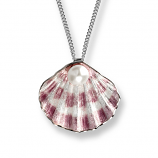 Set with Freshwater Pearl. By Nicole Barr Jewelry.